…though technically I don’t really work at home, but from attic in the spouse’s office. ‘Power Women who write’ event took place at aPaulogy in Worli, Mumbai on 20 March. Popular women Indian authors Kiran Manral, Meghna Pant, Madhuri Banerjee, Anjali Kirpalani, Aastha Atray and Parul Sharma came together to discuss writing in India, the publishing industry in India and the increase in the number of female writers in India. It was an evening filled with books, art, conversation, food and food for thought! The freewheeling chat addressed issues such as the popularity of male writers over female writers in the romance novels genre and the importance of marketing your book. 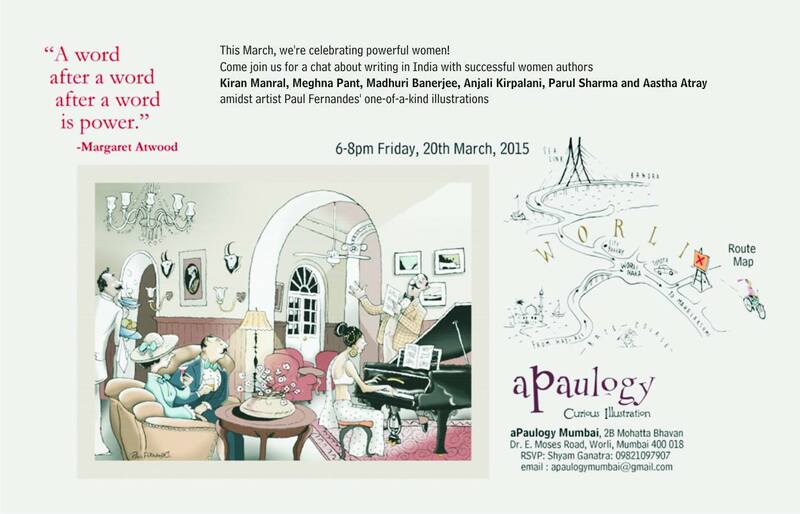 “The event ‘Power Women who write’ took place at aPaulogy in Worli, Mumbai on Friday, 20th March 2015. What did we talk about? Writing. Genres. Marketing the books we write. And so much more. Here’s a picture of us holding our books. Read them yet? Shunali and I go back a long way, in fact so long back is the way that memory mists over, and if I dare reveal when exactly that was, we both risk the real and tangible danger of carbon dating selves. Anyway, as life and things have an unfortunate tendency to do, we lost touch completely with each other and reconnected only recently thanks to that very wonderful malaise of the modern day social media, namely twitter. 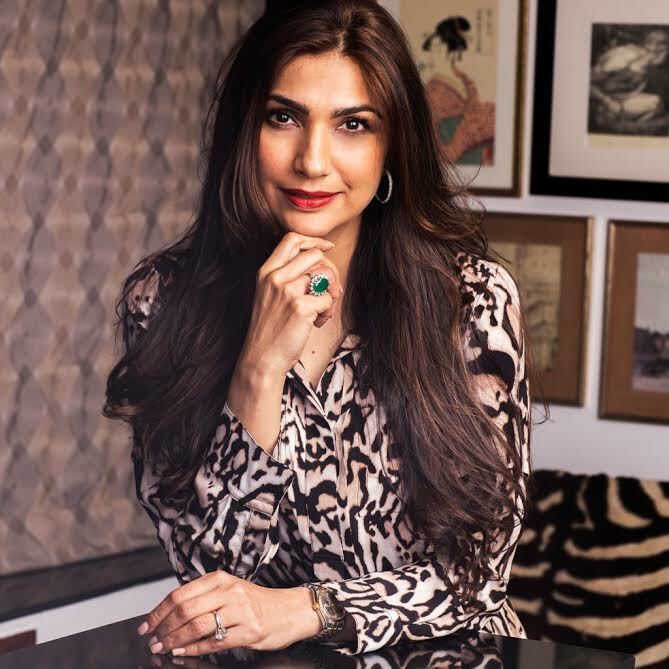 When Shunali told me she was writing a book, a while ago, I was most delighted because not only is she one of the few writers who can hold a sentence, and hold it well, but because she also has a delightful turn of phrase and sense of that elusive drollness that is sadly lacking in most writing these days. As for her book, I would be unfairly biased if I said anything about it, being proud godmother-ly about it, so all I will say is read it if you are a parent. You will find yourself nodding your head along, between snorting helplessly with laughter. Read it if you aren’t a parent. Think of it as a road guide to the path ahead if you ever plan to be one. Or just read it for the fun read. You owe it to yourself to read books that are well written and make you laugh as well. As a writer, one writes experiences that are closest to ones life at a given point. At this point, my KRA (key responsibility area) is that of a mother and therefore this book. Is this essentially a book on parenting? I wouldn’t say that. This is as much a book about parenting as The curious incident of a dog at the night time is about a dog. On a more serious note, yes this book is the journey of a young woman, from being a full time career oriented person to becoming a full time mom and losing and then finding herself in the process. 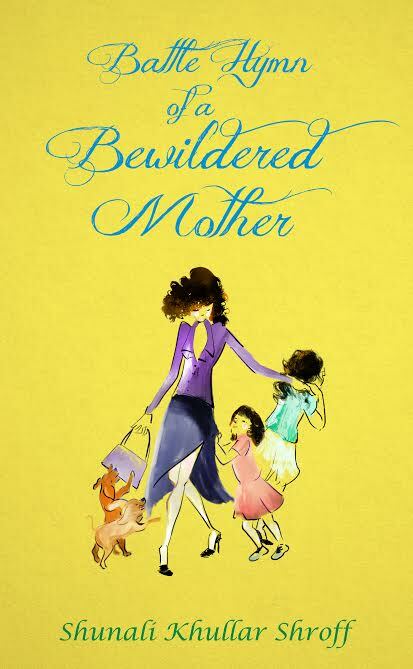 Battle Hymn of a Bewildered Mother is as much about children as it is about failure, self-doubt, moments of triumph and above all, a general all-encompassing feeling of bewilderment. When I became a mother, I felt lost. And when I say that, I am only putting it mildly. I took refuge in self help books but to no avail. I read books essaying different parenting theories and they all made me feel INADEQUATE. At the end of each such book I was just left feeling guilty about all the things I was not getting right. I lose my cool, I point at the flabby bits of my body when I feel fat, I wasn’t and am not a perfect role model to my children even when I am at my most exemplary behaviour. It upset me that I did not have the requisite maternal instinct, nor was I the go-getter tiger mom who is lionized so much today, nor did I want to subscribe to that thought process. And so it is that I reached a saturation point with all the books that make mothers feel incompetent and began to tell my story. The only thing I had in the absence of parenting instinct was love and I had to work with that. When I started to write this book, I did not realize the form it was going to take. Even though it is non-fiction, one usually is aware of the direction towards which one is veering the book as one begins to tell ones story. But the key characters of my story, my daughters Rania and Zara were constantly changing. I was keeping my notes already from the time both of them were really small but when I finally began to compile the material I realized that they were different people every month, For girls change must faster than boys and one gets to witness and engage with their various avatars between the ages of 4 to13. This made the book easier in some ways because every day was a new story presenting itself to me. What were my challenges as a first time author? I think, if you are a a first time author, the first thing you need is a good editor before you submit your script and I was lucky to have found one with the help of my friend Jayapriya Vasudev who had suggested I do this book in the first place. But once the manuscript was ready and submitted, one had to patiently bide ones time, hoping that one would wake up to that one happy mail in their inbox. This part seemed the toughest, although I cannot complain really because I only had to wait a few months before I heard from Hay House and a few other publishers. Since I keep a blog, I did not mind the wait because a blog gets you instant gratification. You write, you hear back from your readers, some of them retweet your link, you feel like a successful writer for a day and then again you slip into the abyss that is smug complacency till you write your next piece which stinks till the nether regions of the internet gateway and you are filled with self-loathing. That, my kids and a fair bit of traveling that I somehow end up doing kept me too busy to obsess over hearing back from the publishers. A friend, who is also a published writer, pushed me a lot when it came to my submissions and for that I owe her a lot. So yes, my advise to aspiring writers is to befriend writers, read a lot of literature, write as often as possible and submit a clean copy. Which authors have had the greatest influenced on you as a writer? That’s a tough one because one can never know what elements of a particular book remain within us and ferment in the neo-cortex of one’s brain till they are released on paper, but the writers I love best are JD Salinger, Oscar Wilde, PG Wodehouse, Nick Hornby, Bill Bryson, Dave Barry, Sue Townsend, Helen Fielding and two outrageously funny women, the poster girls of stand-up comedy, Tina Fey and Joan Rivers. We also have three signed copies to give away to the three most interesting comments on this post. All you need to do is to tell us your most amusing parenting anecdote. Contest ends April 30th. Shunali will choose the winners and her decision is final. India addresses only. I did the jack in the box act and sat up bolt and upright in the bed so swiftly that the blood was still rushing to catch up with my brain. “Why not?” I asked, as politely as I could, sure that there had to be some compelling reason for him to want to skip snack time and lunch recess hedonistic outbreaks. After all, weren’t those the main reasons to compel a tween to get into school, never mind the absolute drag of needing to attend class, take down notes and other such dreary things which should by rights be outlawed. He plucked at my blanket with a dispirited hand, the wheels and cogs of his cranial circuitry debating furiously about whether to give me the true reason for his lack of desire to attend school the next morning. He finally gathered his courage into a ball and put his lips to my ear, after casting a wary eye at the pater who was snoring at ease, not being disturbed by the son declaring his intention to play truant from school the next day. “I’m going to tell you kaan mein sun,” he hissed into my ear, causing the very unnerving tickling effect which unfortunately has me recoil in horror and ask him to speak up and speak loud, and so I did. With education and professional experience in design and journalism, I have always been curious about the impact of the history of a place on its design dynamics. I firmly believe that the practise of built environment is strongly rooted in humanities surrounding that space. And it is this philosophy that conceived the idea of People Called Mumbai – the first publication undertaken by People:Place, an initiative by my firm Design [Variable] in the domain of public and community spaces. This curatorial work found its origins in a summer workshop held at my office in May 2014. Modelled like a writing workshop, it had architectural interns from several colleges across Mumbai and was held over three weeks. In the first week, the interns traveled extensively across the city engaging in numerous conversations – more often than not with absolute strangers – and collecting their stories. The next two weeks were dedicated to writing, facilitated by a workshop conducted by Nishita Pereira. At the end of the workshop, 27 stories from Mumbaikars were penned down. As a greater number of internship applications poured in, ambitions soared. The project was extended by two months and the number of authors grew to 10. Finally, out of the 80 stories that emerged from the nooks and corners of this city, 55 were shortlisted. Salman Khan – a Victoria driver at the Gateway of India; Vikas Dilawari – a conservation architect; Sudeip Nair – who created the cultural hub called The Hive in Bandra; Amol Apte – a volunteer at the Lalbaugcha Raja Ganpati Mandal every year; Behram Khosravi – owner of the iconic Café Military at Flora Fountain; these are some of the memorable stories that have been woven into this narrative. The book aims to reach out across a cross-section of people – design professionals and otherwise – who would begin understanding the mapping of the city through a humane narrative. And this would facilitate each of us appreciating the rich heritage of our city and the role played by each community in defining the texture of this massive pot pourri of culture. The book was selected at INTCESS (International Conference on Education and Social Sciences) – an annual global platform where the best architects of the world come together to discuss innovative ideas to take forward the spectrum. People Called Mumbai was showcased invited as a first-of-its-kind initiative by a practise professional. Through the book, we have also made a conscious effort to map the city chronologically so as to give the stories a time frame. And it is these conversations that we intend to take forward via out monthly adda – People:Place at our office in Juhu. Watch out on our facebook and twitter pages to stay updated about the latest going-ons at our end. 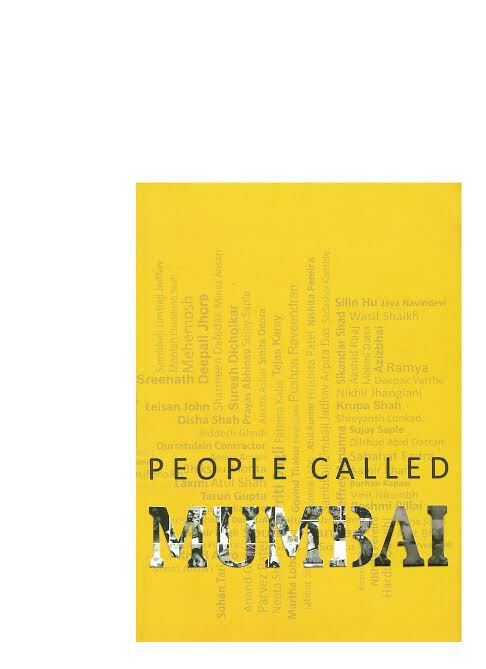 I do hope the book takes you on a trail of re-discovering the stories of Mumbai through an architectural lens. We also have three copies of the book as giveaways. 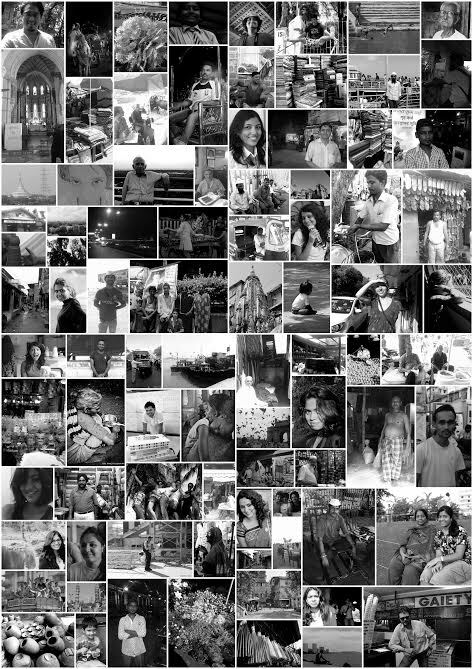 Tell us your Mumbai story here in the comment space and three lucky comments will be chosen to receive a copy of the book. India addresses only, the judges decision will be final. Contest closes March 31st. Friday, March 20th. 6 to 8 pm. aPaulogy Gallery Worli. Five wonderful writers. Parul Sharma, Madhuri Banerjee, Meghna Pant, Anjali Kirpalani and Aastha Atray. And yes, me. Do come. It promises to be fun. 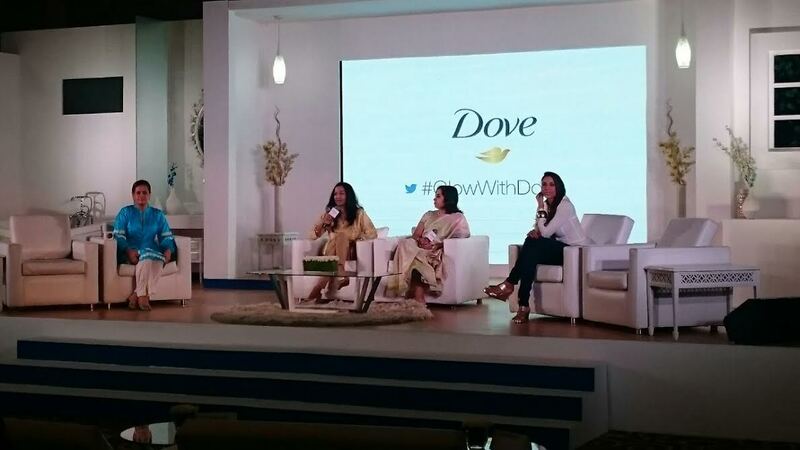 The other evening, the good people at Dove invited me to moderate a panel discussion for an event they were doing. 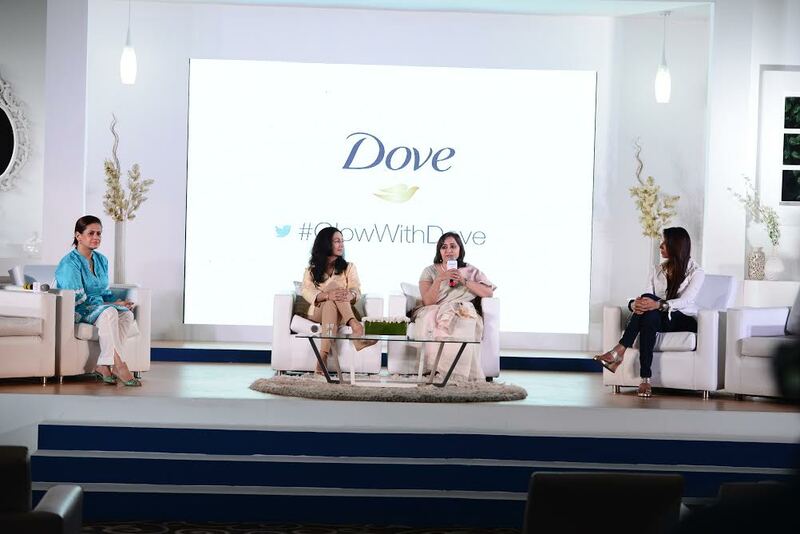 The panelists included well-known dermatologist Aparna Santhanam, celebrated yoga guru Deepika Mehta and celebrity nutritionist Shonali Sabherwal, and the premise of the discussion was “Beauty begins with Care”, as a precursor to an experiment they conducted to show that beauty does not require elaborate rituals; that beauty, in fact, comes from the simplest acts of care. It was a premise that sat well with me, given I am of the old school of thought that believes in minimal fancy stuff but stick to a stringent daily care routine of minimum fuss. I must clean and moisturise and use sun block every single day. I must clean my face and moisturise face and limbs and feet before sleeping. I must oil my hair overnight at least thrice a week. And that’s where I end. I visit the salon furtively, quick hurried visits primarily for hair cuts and defoliation. My last facial must have been when the dinosaurs roamed the earth, no seriously, the last I can remember is the day of the brat’s naming ceremony. He’s 11 now. It was an interesting panel discussion, and here are some highlights. From Dr Aparna Santhanam : Use a moisturising cleanser–soap or body wash in the shower so you don’t need to moisturise again. The first thing in the morning fill your mouth with water while you wash your face. Cleanse, tone, moisturise and apply sunscreen every single day even if you aren’t stepping out of the house. Be mindful of what you do, create certain daily rituals of care. From Shonali Sabherwal : Eat right, be mindful (that wonderful word again) about what you eat. Stay hydrated, but don’t over do the water intake. Cut out the processed food, try to get as much colour from natural foods into your body. Brown rice, pumpkin, greens, nuts, you can’t get enough of these. From Deepika Mehta : Start with your posture, stand straight, sit up straight. The right posture will automatically energise you. Be conscious of your breathing, do simple exercises in your chair that help you relax your body, five minutes of de stressing through the day can only help. And yes, what the experiment was all about here.